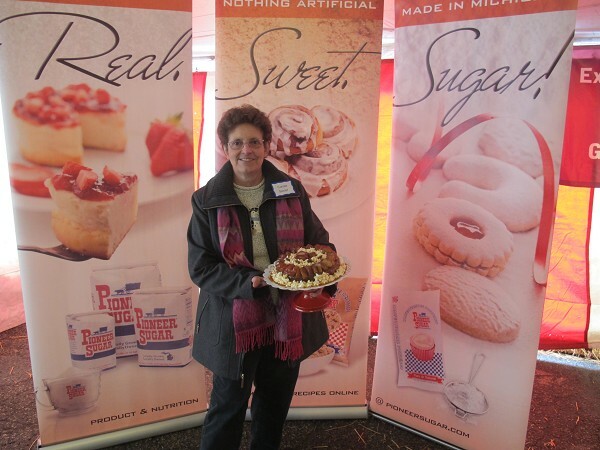 Carol Socier wins the top prize in Michigan's Favorite Apple Recipe contest! After a few months absence from the food competition circuit due to health reasons, Carol Socier is back with a bang. Come November the Bay City resident will be preparing her Caramel Apple Brandy Cake for judges during the World Food Championships in Kissimmee, Fla., after taking first place in Michigan's Favorite Apple Recipe Contest Jan. 27 during Zehnder's 25th anniversary SnowFest. "I needed this," she said. "You've got to have something to look forward to and this has done it. I have no pain today. I wrote it when I was sick and sent it in. I never expected them (Zehnder's staff) to call me. I'm still on cloud nine." Socier also took home a KitchenAid mixer, 20 pounds of flour, 40 pounds of Pioneer Sugar, Zehnder's show tickets, a bag of products from Zehnder's and a basket filled with kitchen do dads from Michigan Apples, sponsors of the event along with WSGW and WITL radio stations for a recipe that was inspired by her mother. "My mother used to make a caramel cake," she said. "I got the idea to play around with different toppings." She also go the idea to add a bit of apple brandy to the topping and the cake. The World Food Championships will be Socier's toughest competition yet. She will be competing against pros and amateurs. Gretchen Mensing, communications and marketing manager for Michigan Apples, has faith in Socier's abilities. 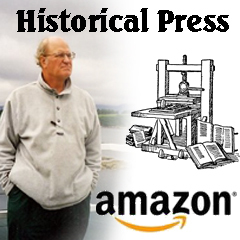 "She always does well," Mensing said. "She's just an excellent baker. This will be the third year we've sent someone to the World Food Championships and they've all done well. They step up and rise to the occasion. This isn't Socier's only competition this year. For the 11th year, Socier will be baking 19 pies for the American Pie Council's National Pie Championships in April in Orlando, Fla., a competition she won in 2007 netting herself $5,000 plus a new kitchen.